I took inspiration from Merrick’s Art blog tutorial, but I’m more of a visual person and find following written instructions only for something like sewing and craft projects a bit difficult to follow. So I decided to do my own tutorial. I made a few changes to the dress as I went along. I decided to add some unique details to this dress to set it apart from the others. The tutorial is really for the pleated skirt, so you can choose to use any top you own as a pattern (or use any dress pattern you like) for the top part. I decided to use the boat neck bodice and half sleeves from New Look #6723 with some alterations. You can also choose not to make a top and just make the skirt. 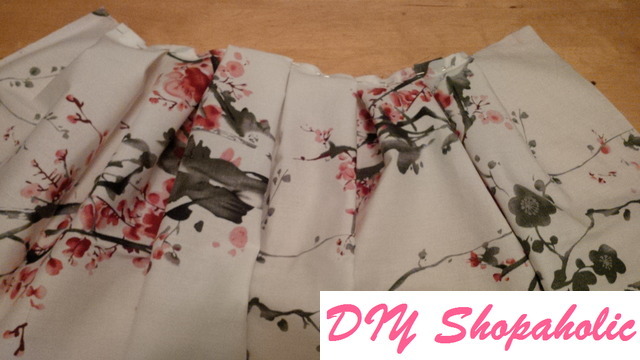 You can finish this by stitching a waist band to hide the raw edges of your skirt. 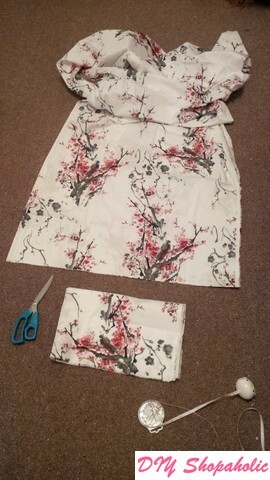 The skirt will be much fuller because the length of fabric you’ll need for this is 3 times your waist measurement plus 3 times the seam allowance. I’ll explain as we go along. So to know how much fabric you’ll need to buy, measure your waist and decide how long you want the drop of the skirt to be. 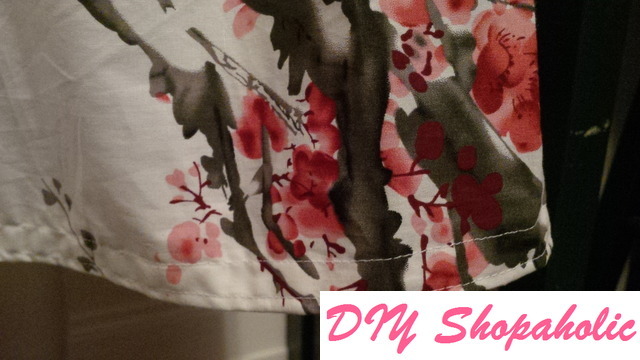 The width of your fabric should be at least the length of your skirt (from waist to hem). 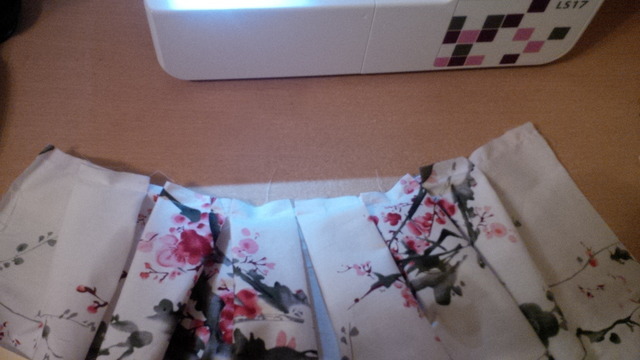 the length of fabric you’ll need will be 3 x waist measurement + 3 x seam allowance (I use 0.5 inches, so you’ll need 1 inch for each skirt piece). 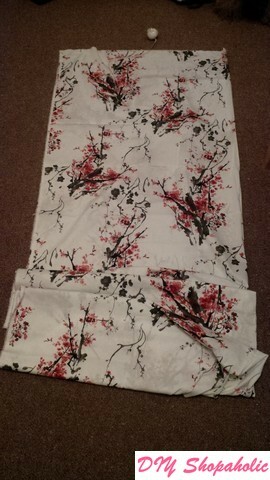 So using the measurements that the drop of my skirt will be 26.8 inches and my waist measures 26.5 inches with 3 inches total seam allowance (for the front skirt piece and 2 back pieces). 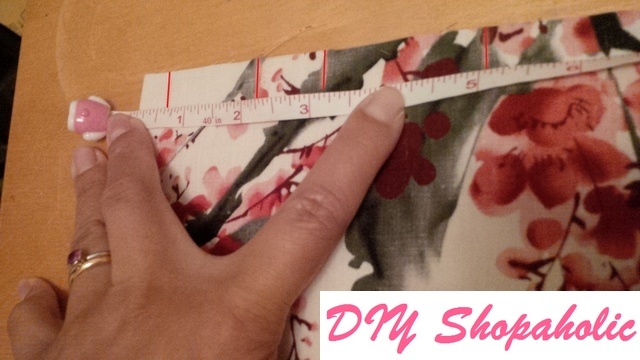 Length of fabric needed for skirt = 26.8 inches (width) by 82.5 inches (length, 3″ total seam allowance + 26.5 x 3). 1. To start, measure the total length of the fabric (mine was 258cm for the 2.5 yards I bought) and determined how much fabric I’d need (206.25cm). 2. Measure and mark (with tailor’s chalk or pins) how much fabric you’ll need for the length of the skirt (206.25cm). Cut out the excess length (258 – 206.25 = 51.75cm) so this can be kept as a large untouched piece. 3. 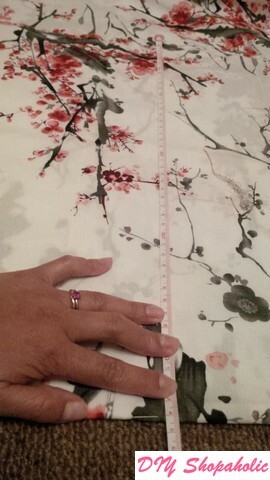 Now measure the width of fabric you’ll need (67cm) and cut along this line. 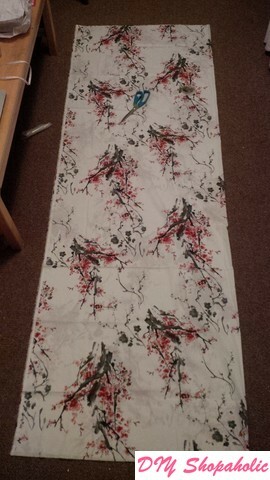 For convenience sake, the fabric was 140cm wide so I cut the width in half and left this at 70cm. 4. To cut front and back pieces, the front will be one piece but the back will consist of 2 pieces to allow for the centre seam. 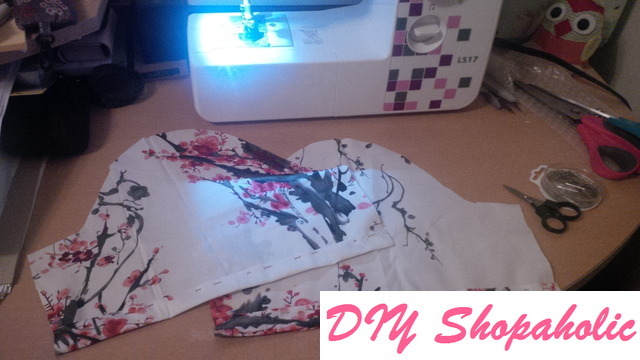 Fold the fabric in half, but add on 5cm longer to allow for centre seam allowance for the back pieces and cut. So now your two halves should measure approximately 98cm (front) and 108cm (back). 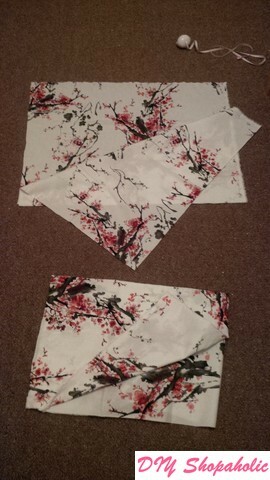 For the back piece (108cm), fold in half and cut so you’ve now got your two back pieces. You’re now ready to start sewing your pleats! 5. Starting with your front skirt piece, along the length of your fabric mark the 0.5 inch seam allowance on either end, and in between measure 1 inch and 2 inches alternately (ie 1 inch, 2 inches, 1 inch, 2 inches) and mark using tailor’s chalk. If you wanted to make, say, knife pleats (where all the pleats follow in one direction), you’d be folding the pleats on one side only. 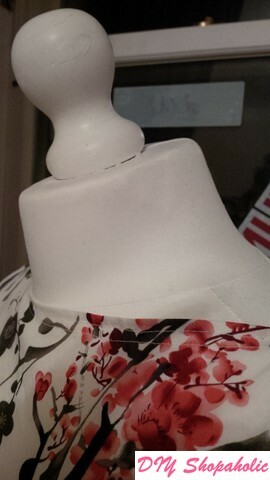 Now pin your pleat in place. 7. Now do the same, but your fold should be on the opposite side. It takes a bit of getting used to at first, but the idea is, where you’ve already folded a pleat, you want the edge of the pleat you’re working on to touch the edge of the pleat on the same side. 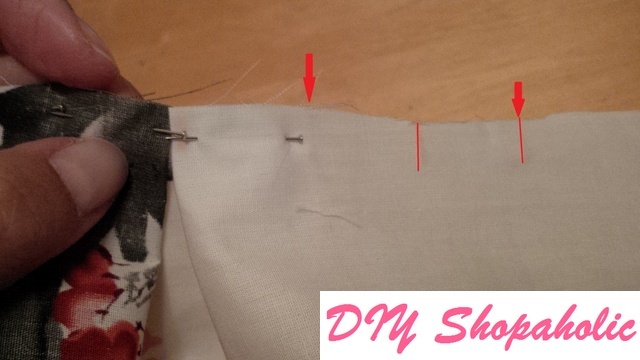 So if you’ve not got a pleat to match the edge of, you’ll need to make a pleat for the other side. Pleats on both sides should look the same, so make sure you remember which is the right side of the fabric! 8. 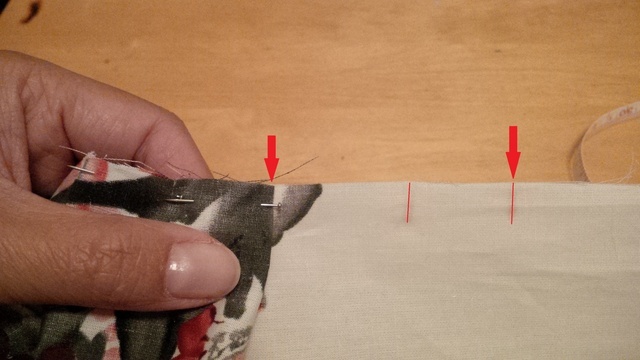 To hold the pleats in place, sew along the top. 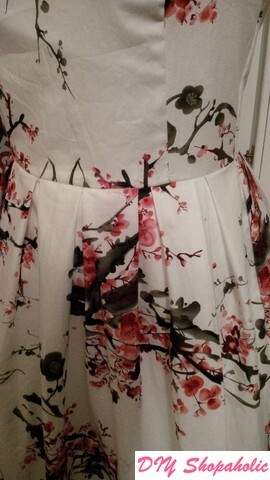 Now if you’re making a skirt, sew the back pieces together leaving enough space for the zip. 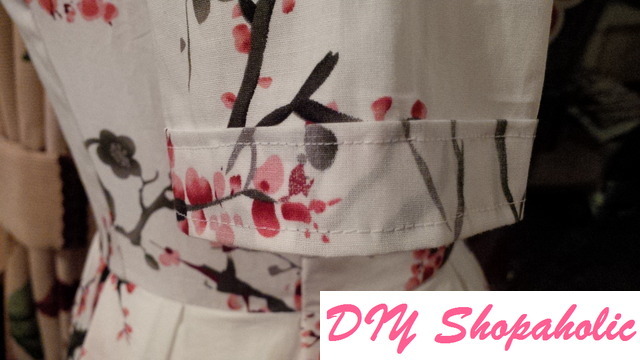 Insert the zip before attaching the back and front pieces together, add a waist band and hem. That’s you done! With my modified dress, I assembled the bodice pieces as normal, but I made adjustments to the sleeves so they were more fitted. What I also did was instead of stitching a seam to hide the raw edges of the sleeve, I decided to stitch it on the right side of the fabric to give an illusion of cuffs instead. I finished the rest of the dress as normal, stitching the lining to the finished dress as I did with the wide funnel collar Vogue dress. The skirt ended up being slightly longer than the usual length I use for other dresses (just below my knees), but it’s turned out to be a fuller skirted, midi length tea party dress! For the hem and the sleeve cuffs, I did this by stitching close to the edge where I’ve folded the fabric over, and going over again on the other side. 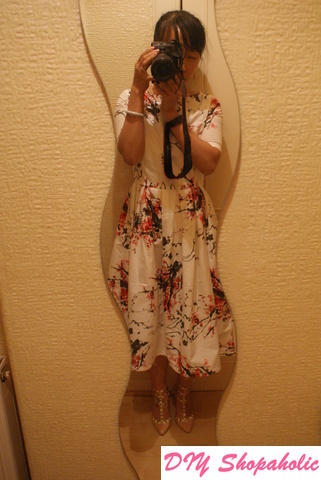 Below are some photos of the dress on the day of our friends’ wedding. The fun thing about this tutorial is you can make whatever pleats you like! 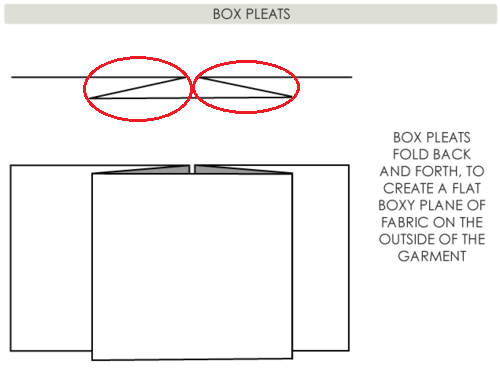 I briefly mentioned it above, the steps for folding pleats above is for box pleats, but the only difference is the direction your pleats would follow depending on the type you’d like. You can do the above with knife pleats (like on a kilt) by folding them only on one side. You can also leave the front section of your skirt as one big box pleat and have knife pleats going away from the centre, just like you would find on a kilt. There’s so many ways to design your pleats to suit your own personal style, so have fun with it and see what you enjoy doing best! Hope the tutorial was easy to follow! Do share any photos of your finished projects and feel free to leave comments or ask questions below! 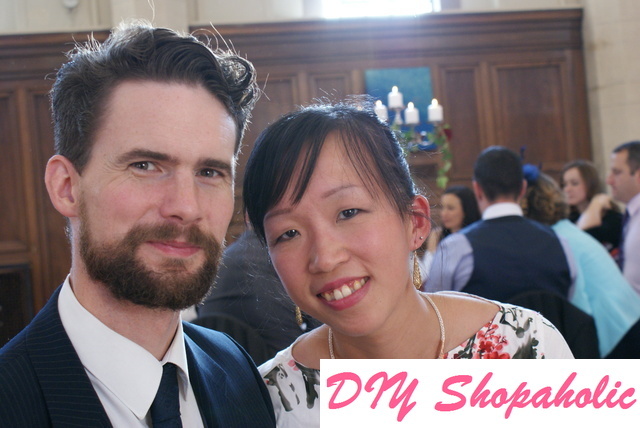 Previous Wedding wardrobe complete: from start to finish! Brilliant tutorial and what a lovely dress! The fabric is stunning too. I am not quite brave enough to make clothes for myself yet, but I am getting there, one little girls’ dress at a time! Ha ha! Thank you, Anna 🙂 I’m enjoying reading your blog posts!